in design this term we are looking at EV3 robots. we got time to build the robot out of Lego. at the top their is a brick that controls the whole robot and how the robot moves. there are two motors on earthier side they control the first two wheels. then at the back their is a third wheel. it is very small put it carry’s the back of the robot. this wheel allows the robot to make sharper turns. it took one and a half lessons and a few early before school sessions. the tasks were to build the robot then draw the robot after that we got to program we had a combination of coding bricks and we had to find out what everything did by experimenting with the coding bricks. we get to play with these robots every Tuesday for the whole term. The motor turns the wheels by turning the axel there are two motors one motor for each wheel. the motor is one of the of the most important pieces of the robot because with out the motor the robot could not move. In this picture it shows the two motors stuck together with a frame. A frame is a piece of Lego that is in a rectangular shape. The frame is held together by pegs that are double sided so you can join other pieces of Lego. The pegs are at the top they are the black ones and there blue pegs on the sides at the front of the motors. The third wheel dose not look like a wheel but it is. Under the grey holder is a ball. The third wheel carry’s the back of the robot. This is a very important piece of the robot because it is a supporter of nearly the whole robot. This wheel allows the robot to turn sharper than a robot with four wheel. In challenge one we had to program our robot to get from on piece of tape to the other piece of tape on the other side of the table, but we were not allowed the make the robot turn. This took me about twenty-five minutes to figure out. The first mistake I made was I did not put enough combinations of programming and it did not go the distance. After that I put to many coding bricks on. We saw that our robot was hesitating. we started to think it was the wheels so we changed the wheels but then we realised the we had the right distance but we still had to many coding bricks. Then we got it perfectly on the line. After that all we needed to do was make the robot reverse. After a long time experimenting we finally found that we needed to change a number at the bottom of a coding brick. Then all that was left was to figure out the distance that the robot needed to go that was pretty easy after we had a good guess of what number to put in. below you will see a passage of programing the two different passages are both the same except the last passage the second brick it is a backwards arrow so the robot reverses. 1) What did you notice? Differences/Similarities between seconds, degrees and rotations? Which was most accurate? Least accurate? I found out it that if the speed is slower, it takes longer to travel one meter. if the speed is faster, the time that it takes to travel one meter is less. I found out that one rotation is 360 degrees so all I had to do was calculate 6 times 360. lucky I have I calculator on my computer. I used the rotations because I know what it did really well. I measured one rotation in our head and guessed 6 rotations and it was perfect. this is my ruler that I made in design I marked centimetres and I measured the wheel, that showed me one rotation. one rotation is 18 centimetres and 360 degrees after I figured that out I could calculate the rest. I think the least accurate setting is the seconds because it would take a long time to figure out how many seconds you need. I think the most accurate was the rotations because all you had to do was know how far one rotation than you can get a rough idea of how far to go. in challenge two we had to pretend that our robot was a baseball player and it had to around the whole diamond this was so hard to accomplish but when we did I was so happy. with this challenge we had no class time to complete the task so it was early morning that made the discovery of the programing formula. we tried to repeat the one passage of bricks with a loop but our rotations were off. so we changed it to just repeating the passage but this time with out a loop this time our number of degrees that we turn was off. there were lots of tries then we found the perfect length and turn so we just repeated that and we got it to complete the diamond. this was a lot about trial and fail and also about being resilient. this probably took about three hours before school and a little in class. every time we failed I would get e little more impatient and by the time we got it I was about to crack. down the bottom you will find the programing passage for the challenge on the second block there is an arrow with 65 under it that is for the turning. In this challenge we had to make our robot go forward than turn then come bake to where it started. This took a long time to program because we forgot to save the programming and it kept deleting. First, we tried making it go forward then turn 45 degrees. Even though it mathematically correct, it did not turn enough. After that we made the robot do the rotation 2.5 times, but it still was just not enough, so we changed the rotations to 3 and it worked. This was a massive relief to complete because this was the last challenge and I was stressing about if we were going to get it finished on time. At the bottom you will find the programming passage on the second brick in the middle you will find a circle with a hashtag in the middle under that there is the number 3 that is the rotations that were a big challenge to get right. 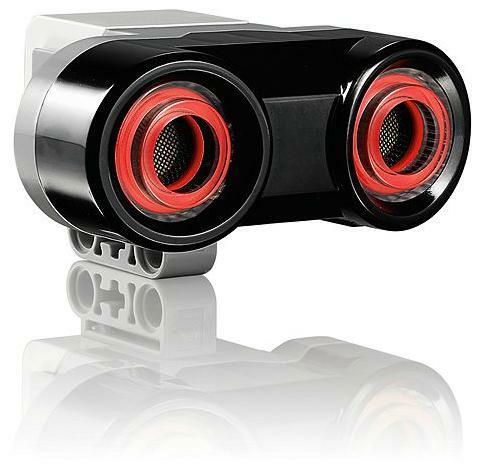 what is the EV3 colour sensor ? an EV3 colour sensor is a piece of technology that detects 8 different colours. the colour sensor detects colour by recognising the colour reflection that each colour produces. the colour sensor can follow lines and react in different ways to the colours. in this challenge we had to use the colour sensor the detect a piece of paper using colour reflection. we had to make our robot go forward, detect the piece of paper then as a reaction we had to make the robot return to the starting position without turning. I thought I would program It the same as the challenge where I had to make the robot go forward then come back without turning. but I did not realise that I had to on the first brick I had to use the drop down menu and select on. the on button made the brick much smaller because only the turning block and the speed block were needed. this made my life easier because I only had to work with two bricks in the first block. it sensed on piece of coloured paper the only problem was the robot stopped when it sensed the piece of paper. by this time I was felt like giving in then finally I figured out that I needed to put move and turn bricks inside the other brick. then I tried the program on the paper and it partly worked. what I mean by partly worked was it went to three of the four coloured stripes of paper then stoped I was so sad. this morning again I tried to get me robot to work the square. I had 13 tries this morning and none of them were even close to doing it some went to one strip of paper and stopped some tries just didn’t sense the strip of paper at all. than something went off in my mind and I realised what I had to coast the first brick in the switch and as soon as I did that and it worked. the switch block is the most important part of my program. if I did not have the switch block my program would use over twenty blocks. in addition to that, my robot would stop in the middle of the blocks to have a rest. the switch block even has the colour sensor block in it. today we started our line follow challenge. I had to make my robot travel around a circle. this challenge was pretty hard because I have never made my robot follow a line but on the up side we had to use the switch brick. first I tried using one of the yellow blocks that had the colour sensor in it. I had no idea what the yellow brick did. so that made it very had to program. my first try was not successful at all, my robot sensed the line but when it did the robot stoped. then I had a think about what all the bricks do then I realised that I needed to make my robot turn because circles are not straight. as soon as I did this it kind of worked. what I mean by kind of worked is that it was working at the start of the program than it went off course. I realised that my robot was going of track because my robot was going to fast. when I changed the speed my robot completed the course. What is an EV3 ultrasonic sensor? An EV3 ultrasonic sensor is a sensor that sensors distance. I can program the EV3 ultrasonic sensor to stop when it is twenty centimetres away from a wall or ten centimetres away and so on. An EV3 ultrasonic sensor detects things and reacts. you can program the sensor to turn when it sees something, or you can make the robot stop when the ultrasonic sensor sees a wall or something solid. There are many more reactions. Today we starter a new set of challenges with an ultrasonic sensor. The first challenge was easy. all I had to do was get the ultrasonic sensor to sense a wall from twenty centimetres away. It only took me two tries to complete the first challenge. My first try was quite close except I had the end move brick on zero everything. I soon realised that I could have the brick on for off and that would stop it. So, I tried that, and it worked. This challenge was easy because I used what I learnt when I was using the colour sensor but put it in a way that could help me in the ultrasonic sensor challenges. In challenge two we had to get our ultrasonic sensor to sense a solid object acting as a wall. In the case I used seats to make a confined space. This challenge was not that hard because I had the knowledge of the last challenge and the colour sensor challenges. this helped me because I could connect the dots between the past challenges and this challenge. This challenge took me six tries. I only used very simple bricks to make things easier for me. Some of the difficulties were that I don’t normally use Lego so it was hard to start with no experience what so ever. Another difficulty was that my partner was away and I had to do it on my own which was hard because there was a day when the robot was supposed to be built. There were a lot of pieces that I had to find and a lot of steps that I got stuck.